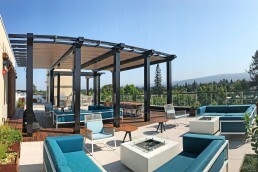 Like most communities in Silicon Valley, Mountain View is home to a young, innovative and talented population that loves to work and play in the places they live. 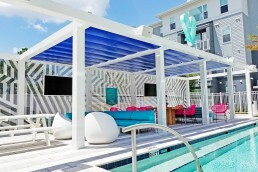 This is especially important in one of the world’s most expensive real estate markets, where access to recreational, cultural and entertainment amenities is a high priority. 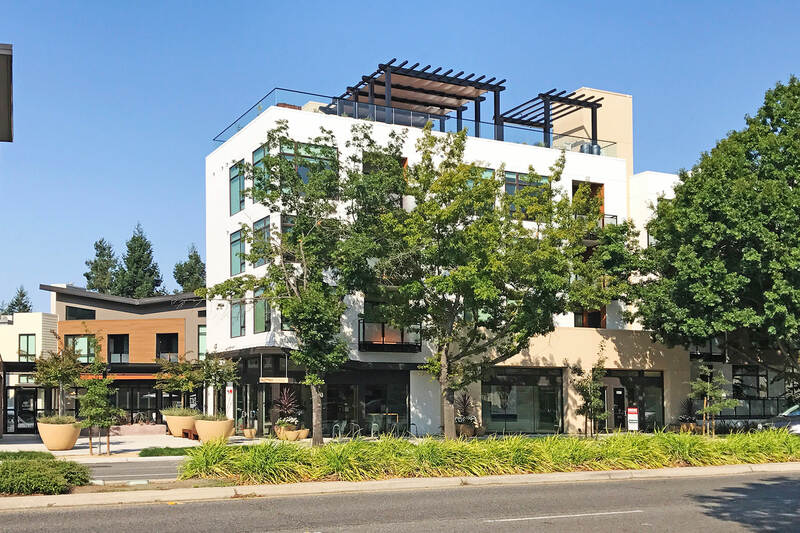 With markets in the San Francisco Bay Area, Portland and Seattle, no one understands this better than San Francisco based real estate developer Prometheus. 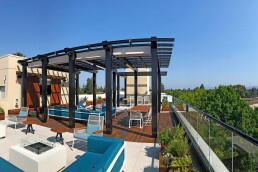 With an emphasis on creating the ‘Ultimate Neighbour Experience’, Prometheus has created communities that exceed the needs and wants of the modern worker. This couldn’t be truer than at the Montrose Apartments in Mountain View, CA. 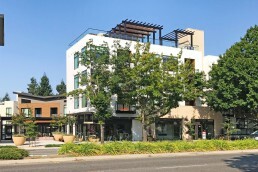 Located in the middle of the Valley, this community of apartment homes provides residents with access to a kinetic fitness centre, a neighbour clubhouse, theatre, pool and spa. 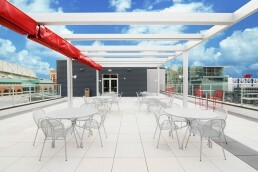 However, the most sought-after space is most definitely the rooftop terraces with vistas of natures surrounding beauty. To achieve maximum comfort and utility across the rooftop terrace at Montrose Apartments, Prometheus engaged us at ShadeFX for a retractable shade solution. 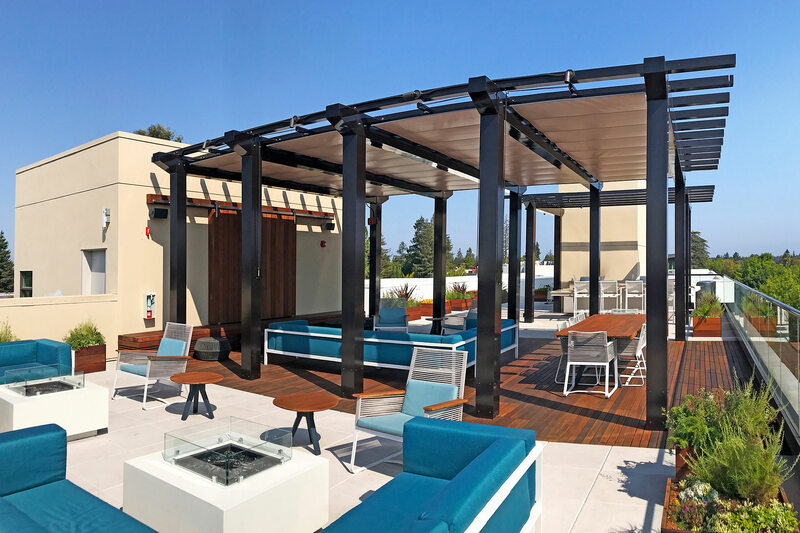 Using a waterproof and fire-retardant fabric (Ferrari), we covered 480 square feet with four underside rope operated canopies. 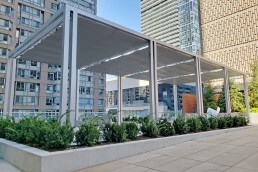 To maintain the surrounding vistas, we reduced the canopy drop and powder coated the hardware black to match the steel rooftop pergola. 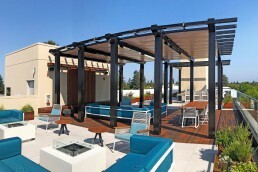 – Tim Nash, ASLA, Director of Landscape Architecture and Exterior Branding, Prometheus Real Estate Group, Inc.
We worked closely with Prometheus, providing a site assessment to take the worry of dimensioning out of their custom solution. The result, a seamless integration that compliments the Montrose Apartments, and emphasizes the property’s surrounding beauty. 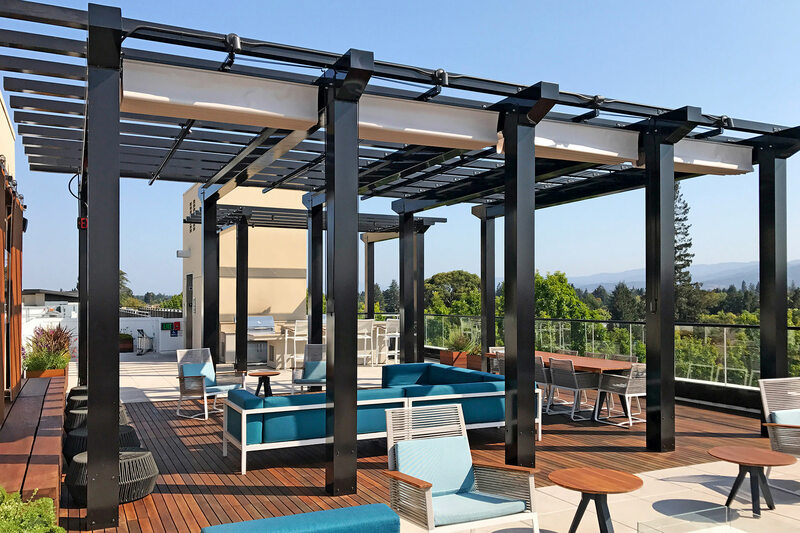 To achieve maximum comfort and utility across the rooftop terrace at Montrose Apartments, Prometheus engaged us at ShadeFX for a retractable shade solution. 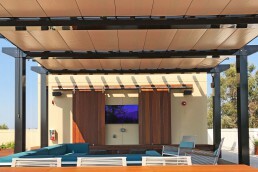 Using a waterproof and fire-retardant fabric (Ferrari), we covered 480 square feet with four underside rope operated canopies.